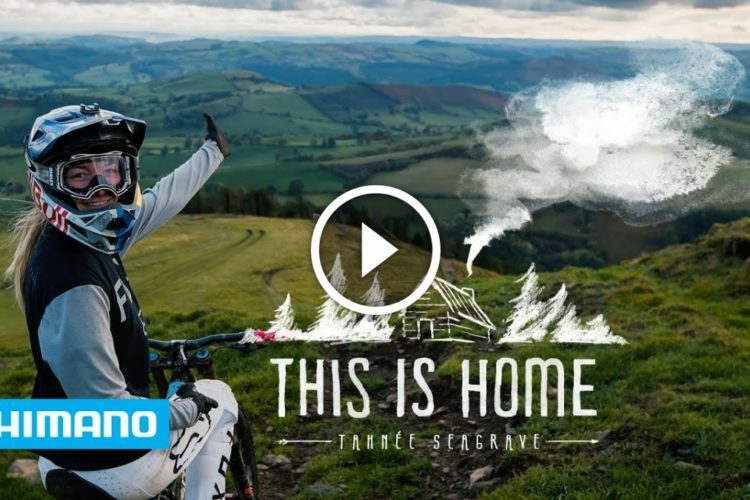 Italian brand Pirelli, known for their performance motorcycle, car, and road bike tires (as of 2017), dives into the mountain bike market today with a complete line of dirt tires. 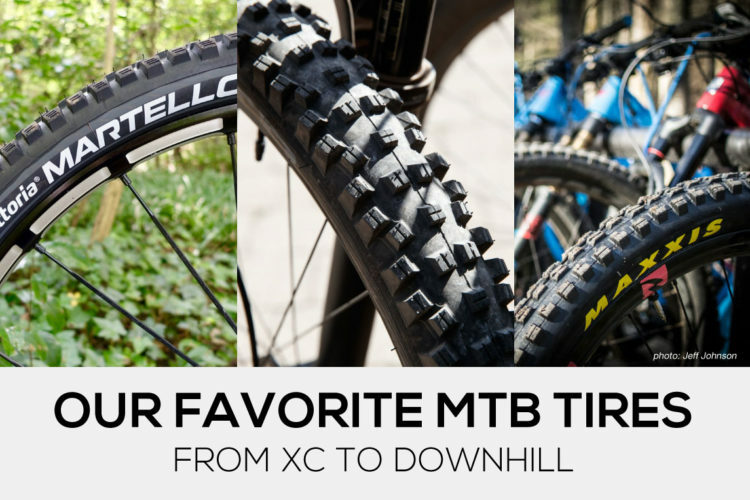 The entire line is called Scorpion with sub-variations for tires that range from XC to downhill. The name was inspired by their motorcycle line, also called Scorpion. 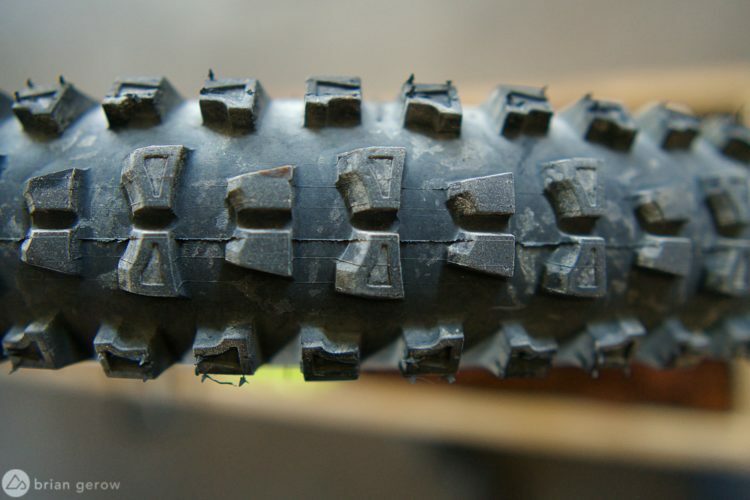 In contrast, their road bike tires are called PZero Velo, after the popular Pirelli performance car tire. 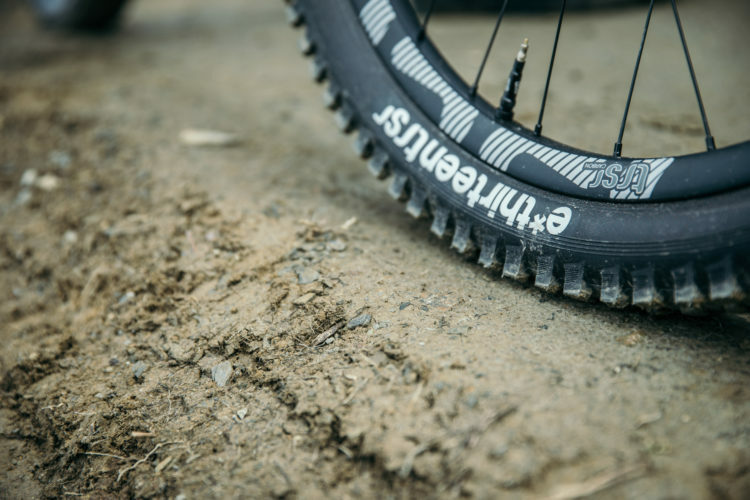 Pirelli calls their new mountain bike tire compound SmartGRIP, which was developed and tested by eight different riders across 450 different tests with different surfaces and seven different rim types. 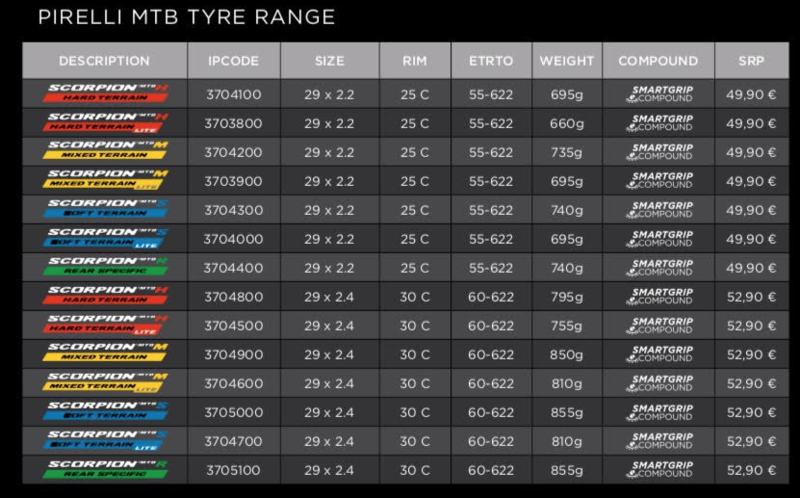 Pirelli says that weather conditions like cold or heat won’t affect the compound’s performance. 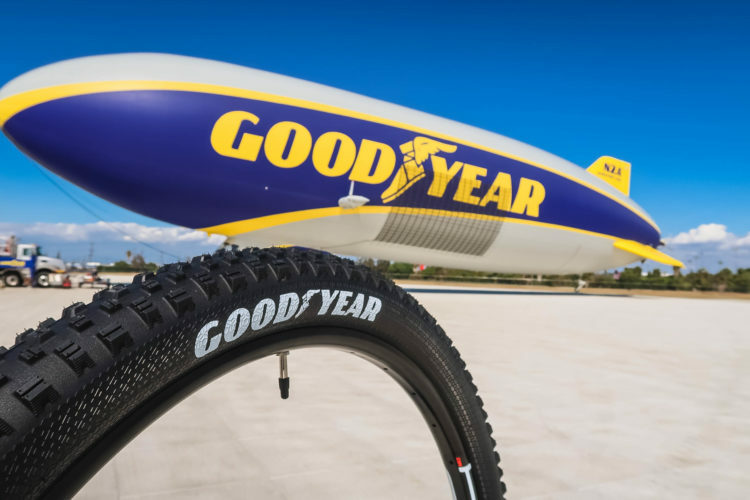 There are four distinct tires in the line right now. The Scorpion H is for hardpack with a little bit of loose rock. It has tightly spaced, low profile knobs and is available in a Lite option. The Scorpion M is meant for mixed terrain, from rocks to roots and looks to be their all-around trail tire. 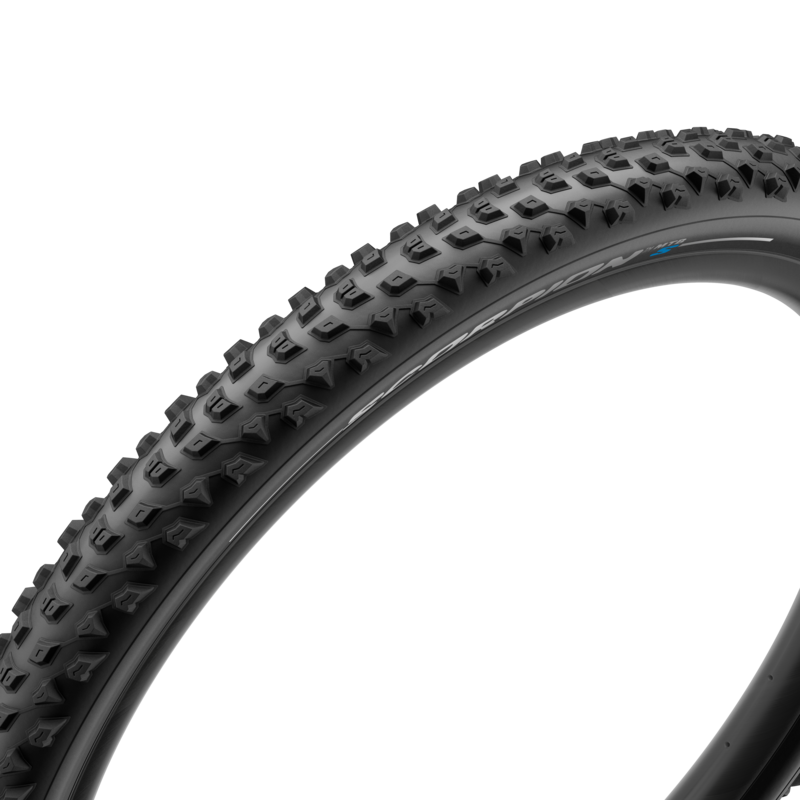 It’s available in a Lite version and in 2.2-, 2.4-, and 2.6-inch widths for 29ers. 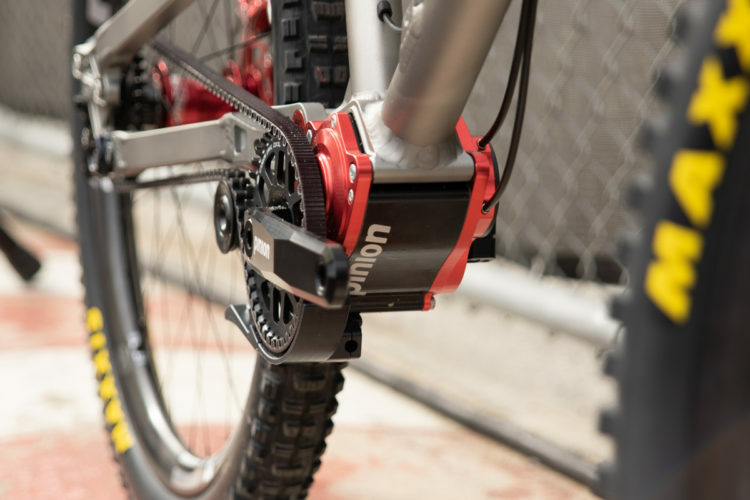 There are also 2.4- and 2.6-inch options for 27.5-inch wheels. 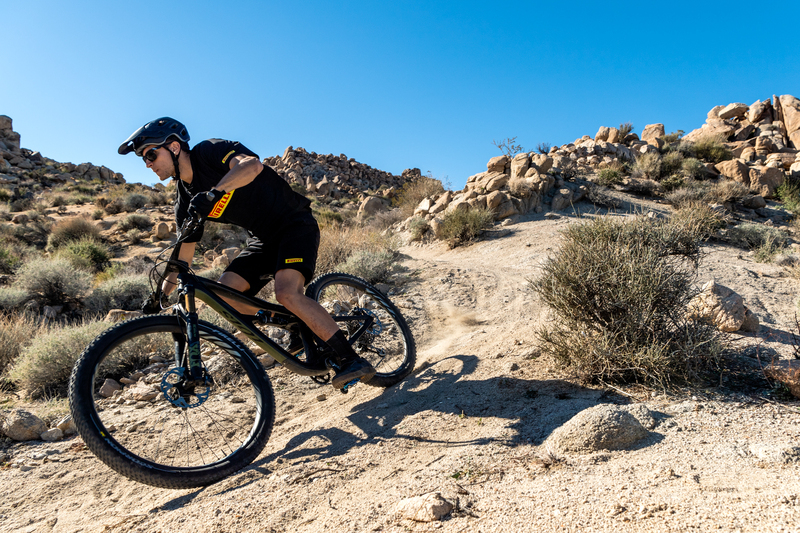 The Scorpion S looks to be best as a front tire, or a downhill set up front and rear since it is designed for loose terrain and features big knobs. 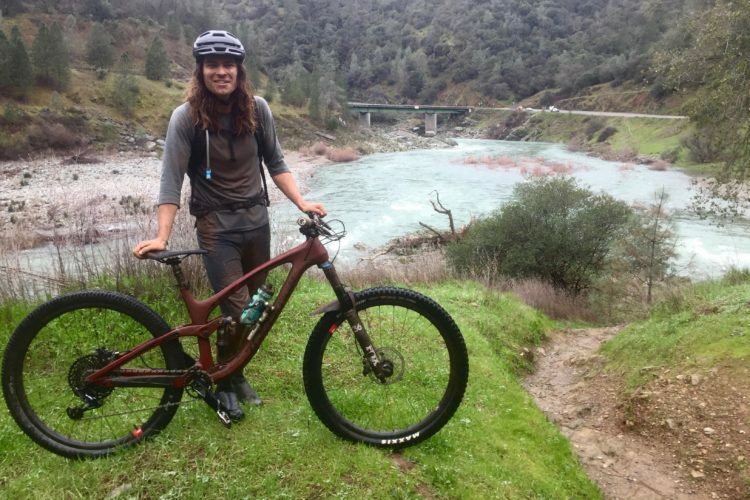 It is available in the same options as the H and M, and still has two Lite options for 29ers that save weight (about 45g for the 2.4-inch 29er) and offer better rolling resistance. The Scorpion R is a rear-specific tire, with tighter knob spacing and better rolling resistance. The center knobs are tightly spaced, and it has bigger side knobs. 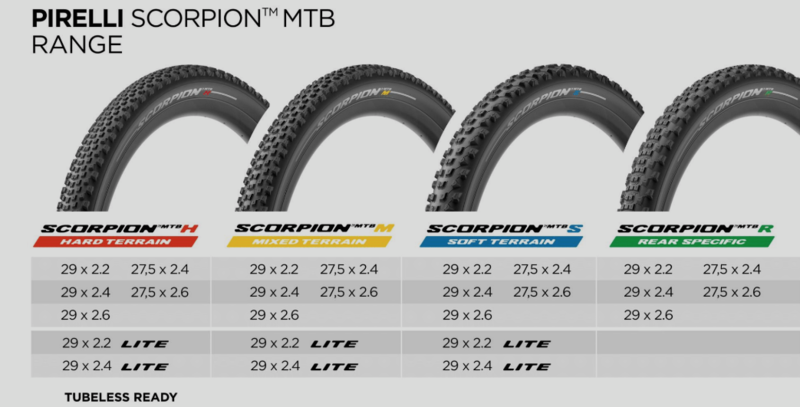 The Scorpion R is available in the same sizes as the others, but does not have a Lite option. 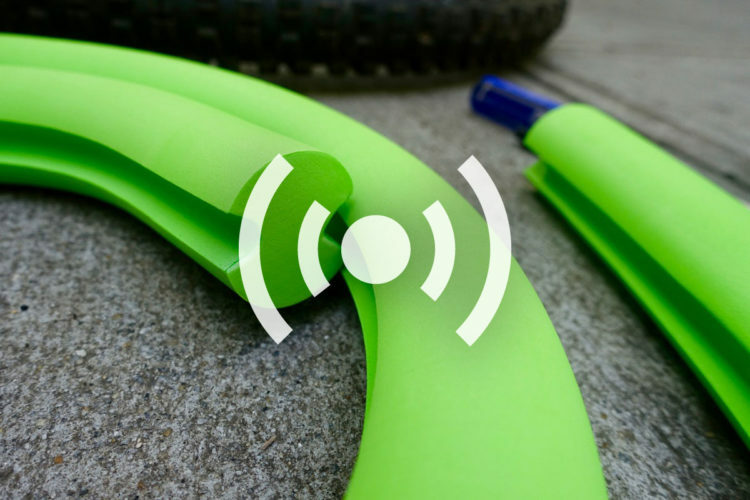 The entire Scorpion line features the SmartGRIP compound and all models are tubeless-ready. 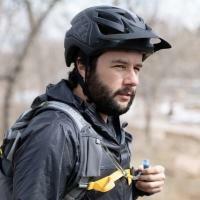 Tires start at about $56USD and should be available staring in March. 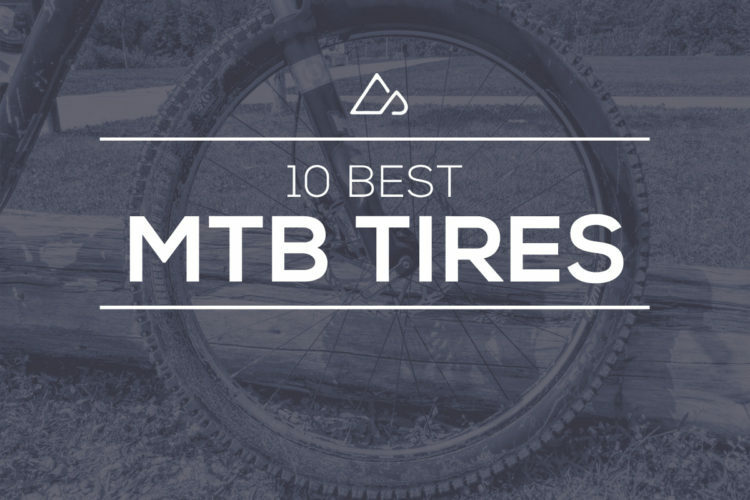 To learn more, visit the Pirelli MTB page.